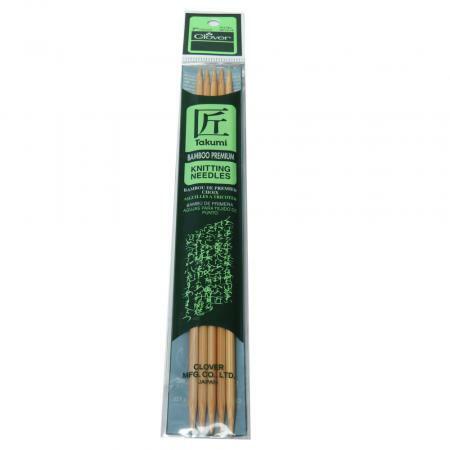 The special look and feel of bamboo, which improves with age, make these Clover knitting needles an attractive addition to any knitting bag. Thanks to Clover's unique processing technique, 'Takumi' needles make for smooth knitting right from the start. The more you knit with these needles, the smoother they become to the touch. 'Takumi' needles are also 60% lighter than aluminum needles of the same size so your hands do not tire even after long hours of knitting.